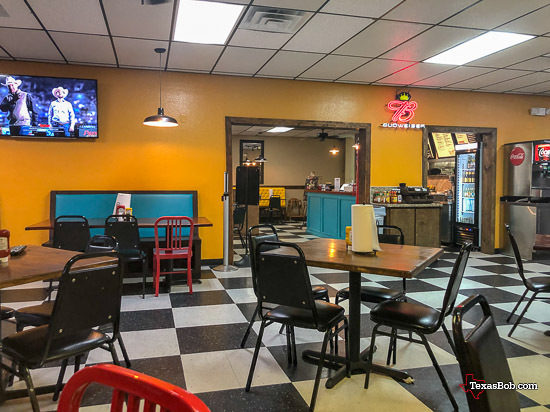 When we are in the Rio Grande Valley of Texas, we eat a lot of Mexican and Tex-Mex food, but I also like to find a good home-grown burger place. Because of the heavy traffic of "Winter Texans" there are lot of resources of things to do, places to eat and things to see. 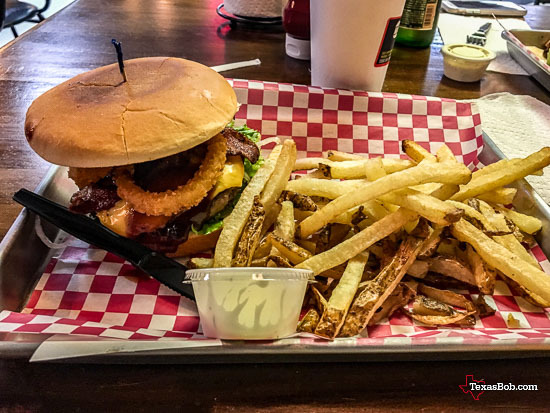 It did not take long to identify Marcos Burgers & More as the place to go. 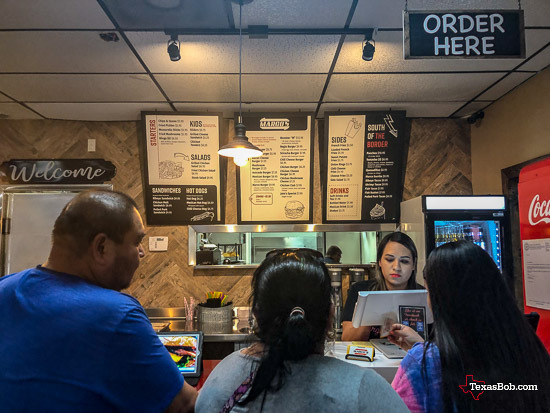 Marcos Burgers & More is in a strip center and when you walk in the door you will see a counter with a menu board and a sign that tells you what to do, "Order Here". After you order, just turn right into a large dining room you may not have noticed when you first came in. When your order is ready, someone on the staff will bring you your meal and take care of anything else you might need. One thing that some independent burger restaurants are doing is using specific beef cuts for the ground beef used in the menu items. Marcos uses ground rib-eye for their burgers and chopped rib-eye in their tacos. I ordered a cheese burger with onions and the onions they put on it were onion rings. The rib-eye beef patty with the onion rings on the burger was very good. The bun was toasted on the grill. 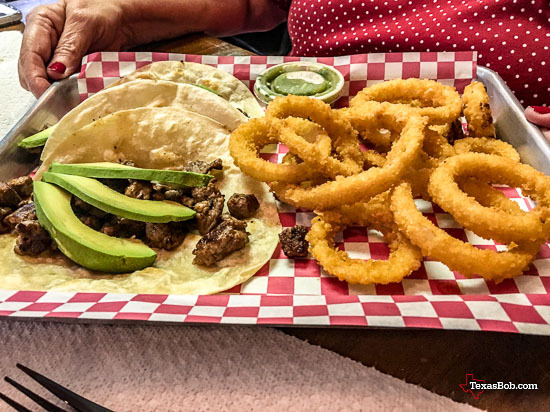 Clara ordered tortilla flour tacos with chopped rib-eye meat, onion rings and sliced avocado. She claims that is was best taco she had ever had. The over all experience at Marcos was good. The longer we stayed the more people came. I would recommend Marcos Burgers & More to anyone looking for good food in the Rio Grande Valley.